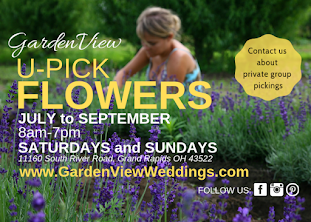 With over 45 years of experience as a family-owned and operated business, GardenView Flowers has gained a reputation as one of the Midwest regions finest retail outlets for quality fresh-cut flowers, seasonal produce, and everlasting florals and ornamentals. Founder, Gerald VanHoutte and his daughters plan out the growing season and tend to nearly 60-acres of crops with the care and passion of artists at work. 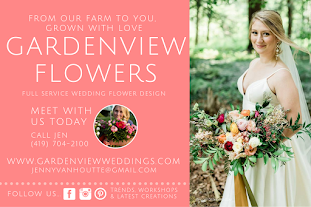 Over the years the owner's daughters have expanded into a full service event and wedding floral design business. Covering all your needs from seed to aisle. We offer an entire floral experience - we will grow, harvest, consult,design, arrange and deliver any wedding. We grow our flowers with the utmost attention to the integrity of the ecosystem they live in. 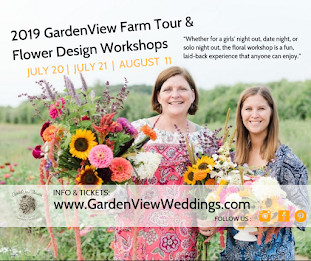 Seasonal fresh-cut flowers are available from Gardenview Flowers from May-October at the Perrysburg, Toledo and Royal Oak, MI farmers markets, as well as direct from our farm in Grand Rapids, OH.